The holidays are all about togetherness. When you host gatherings at your home, though, you become responsible for the holiday experience of your guests. The two keys to successful holiday hosting are clear communication and impeccable organization, and your FranklinPlanner can help you with both. 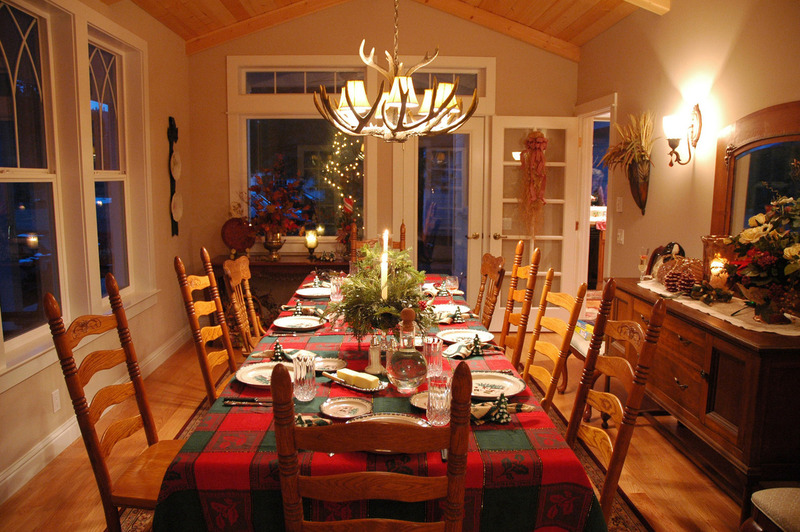 Here are six tips for successful holiday hosting. A successful get-together is all about the details. You’ll need to coordinate the date, time, location, and activities with your guests. If you’re planning on serving food, you’ll need a menu and a shopping list. Before you reach out to finalize your invitations, sit down with your planner and brainstorm as many details as you can. Then when you call your guests, you’ll be prepared to confirm or adapt your plans as needed. Even the best plans can still be sidetracked. Winter weather, seasonal illness, and other factors can delay your guests, or keep them from coming altogether. If you’ve delegated important tasks to your guests, be sure to keep a backup plan on hand. Then if your plans need to change, neither you nor your guests will feel guilty. If you’re planning on hosting guests for an extended stay, then you’ll want spruce up the guest bedroom. Make a note in your planner two or three days before they arrive to remind you to vacuum the floor, change the bed sheets, and relocate anything you’re storing in the guest room to give your guests space for their luggage. And whether you’re hosting for an extended period or having guests over for the evening, it’s always a good idea to make sure the guest bathroom has fresh towels and a clean tub, toilet, sink, and counter. With all of your plans, make sure to include time together. If you spend all your time making perfecting touches on your meals or decorations, you’ll miss the chance to connect with your guests. Your careful plans should be geared toward creating memorable experiences with your guests, with your plans now giving you more time to enjoy together. If you have music, the smell of delicious food, holiday lights, and conversation with your family and friends, you’ll have enough for a great holiday.